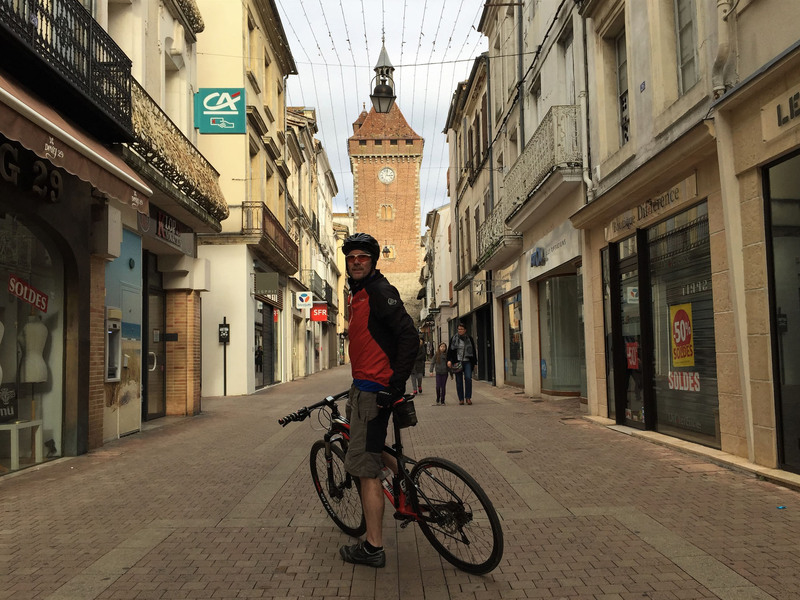 On one dry day we cycled over to see the main local town of Villeneuve-sur-Lot. We climbed up and over a steep local hill then enjoyed a very fast but all too-brief downhill to reach the valley on the opposite side. We found and followed a grassy, damp abandoned railway line, now a designated cycle way that ran parallel to the main road a few hundred metres distant. This led us all the way to the centre of town where we stopped on a modern bridge to enjoy the view over to the parallel 13th century stone bridge with its very imposing 26m wide and 18m high arch. The river was wild below. 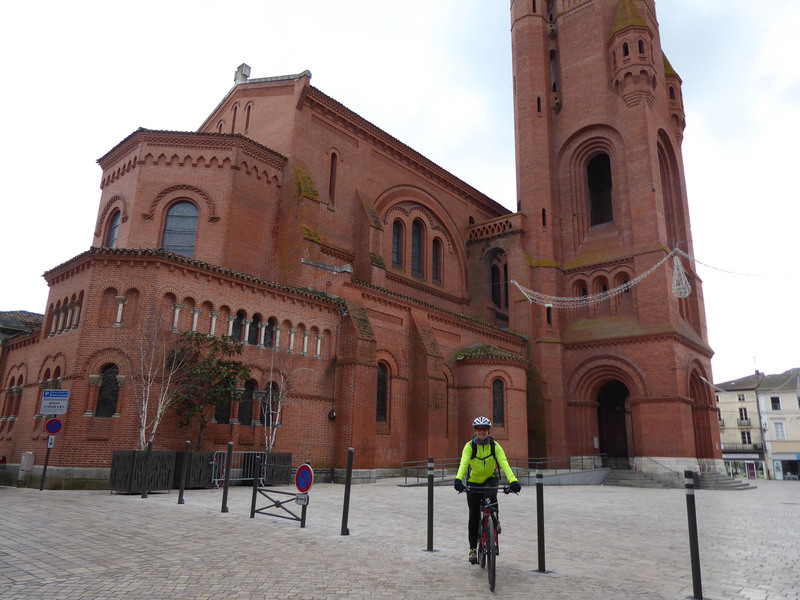 We cycled around the historic centre, impressed by the neat shopping streets and decorative squares, before reaching the Église Sainte-Catherine de Villeneuve-sur-Lot, a tall Gothic red brick church dominating the square. After a look, we circled around past the modern Hôtel de Ville and along wide tree-lined streets before cutting back through the narrow town centre to cross the river Lot on the ancient bridge. Here we passed under one of several gate towers before following a quiet country road back towards Allez. We had to climb over the hill again to return to our base valley, a harder climb in this direction especially as we’re no longer bike-fit. It was only a 22km cycle trip to the town, but felt longer by virtue of being book-ended by the same steep 2km long climb. On another exploratory day out, we found ourselves visiting the local swimming baths at Pujols. We swam a good number of lengths in their wonderful 25m pool before availing ourselves of the largest Jacuzzi bath either of us has seen, followed by a stint in the thick menthol mists of the adjacent steam room. It is a fantastic facility that is now set to become a key part of our weekly agenda. We occasionally undertake a short walk with the neighbour’s dog, know only as le chien noir, when he chooses to come visit us. In our more passive downtime we are doing lots of house-hunting, and have looked on-line at hundreds of potential places over the past few weeks. We have fired enquiries out to many agents but have yet to locate the perfect property for us. But we now have a feel for what is available and what we want (and don’t want) so will hopefully manage to find our perfect property soon. Along with our weekly formal lesson in French, we have been reading select news articles in French to improve our vocabulary. I’ve also taken to translating a few children’s books, them filled with many words still challenging for my fledgling French (En Route is my favourite so far, a story of a young bear making her way in the mountains). “Le monde est plein de surprises!” We have been watching a French movie most nights too, but the speed of the spoken French renders it practically incomprehensible, even if we know the words. Translating words on a page to spoken sounds is the next, more challenging hurdle we face. Still, we are giving ourselves the very best time and opportunity to improve. 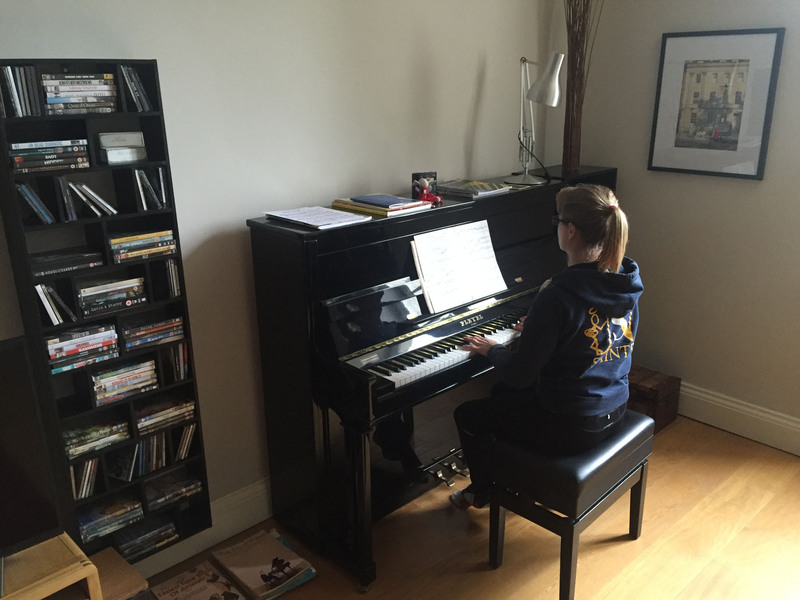 We practise piano most days, Nicky very decently rebuilding her repertoire of tunes whilst I, having started from scratch, am struggling through a children’s Grade 1 piano book, playing scales and hand exercises until I can no longer bear the incessant noise. I may need a silent piano to practise on first until I manage to improve. Learning to read music is another language, another set of arcane symbols my weary mind has to translate before being able to fully utilise. In the midst of all these efforts, I also had the strange notion to begin learning Japanese, and have spent a few weeks learning kanji symbols along with a few basic words. By now you perhaps understand why our brains are challenged; learning anew is not a natural state for gnarly old brains constantly abused by too much wine. Our brains haven’t had so much pressure to learn new things put on them since our school days. It’s proving to be very productive, but also tiring and we can’t do much more than a few hours each day before fading out. 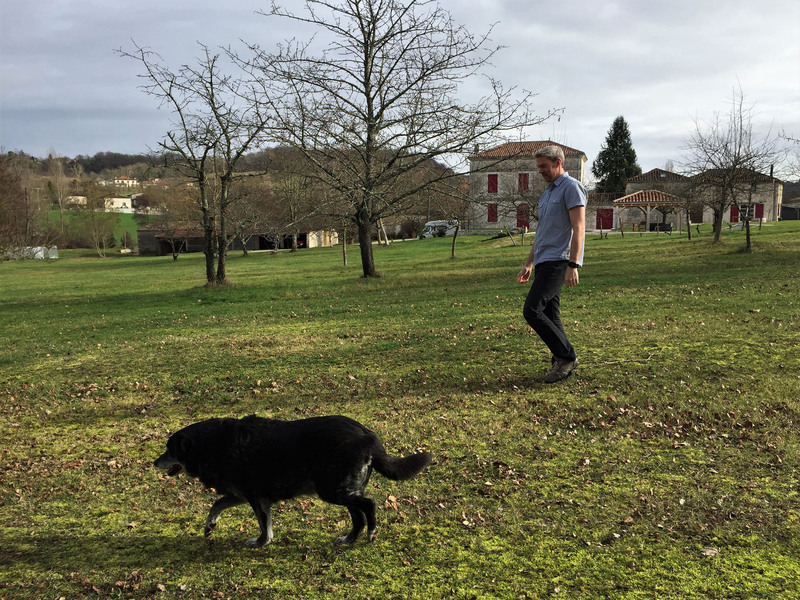 Little and often is said to be the key, so we break up our self-led French lessons by going for a run or playing table tennis, or a little bit of garden maintenance. Several hours of French study followed by bracing hilly runs or cycles to clear the mind and awaken muscles works well, but also serves to wear us out. We are feeling very tired at the end of each day and are sleeping long and soundly. It’s a very nice life here in this very beautiful corner of South West France. 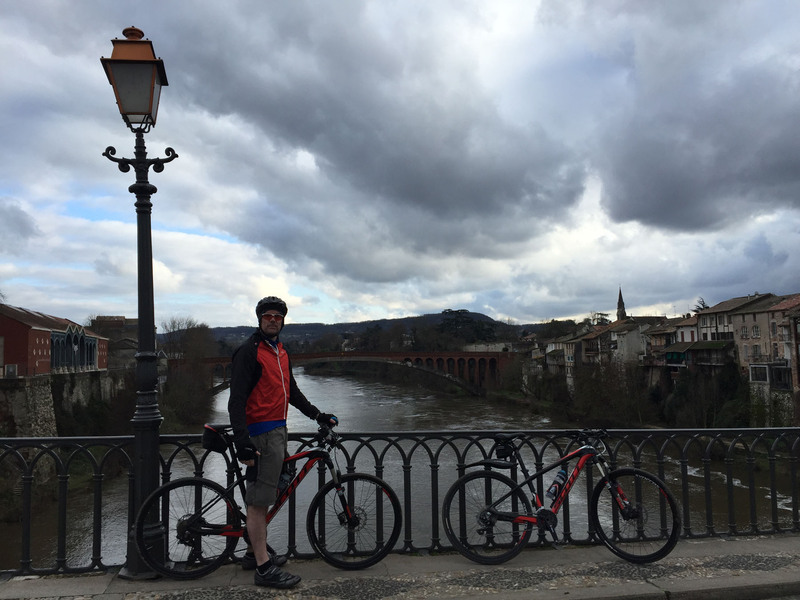 This entry was posted in 2017 Winter Travels, Cycling, France, In France, Our Travel Journal and tagged Cycling, gardening, househunting, medieval, nature, river, Swimming, trail running on Jan 19, 2018 by Aaron Hill. 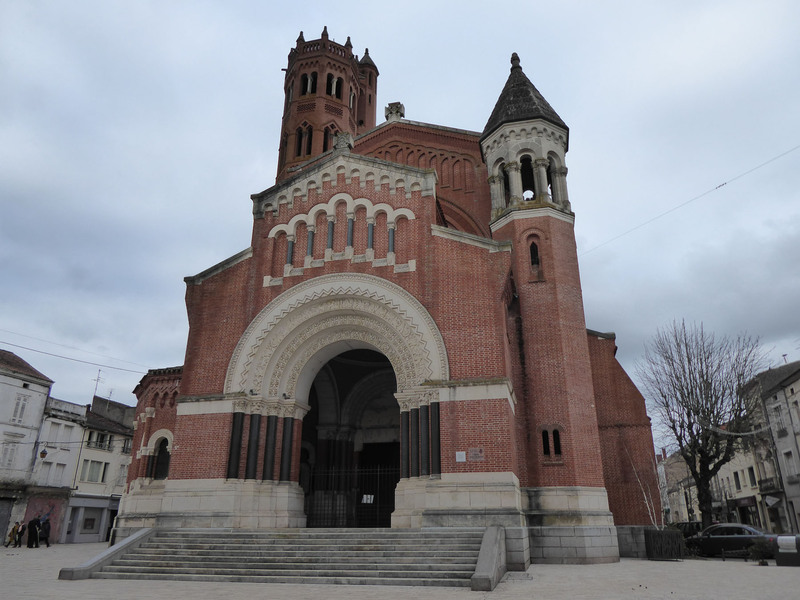 Arriving in Allez-et-Cazeneuve to begin our latest house-sit commitment. 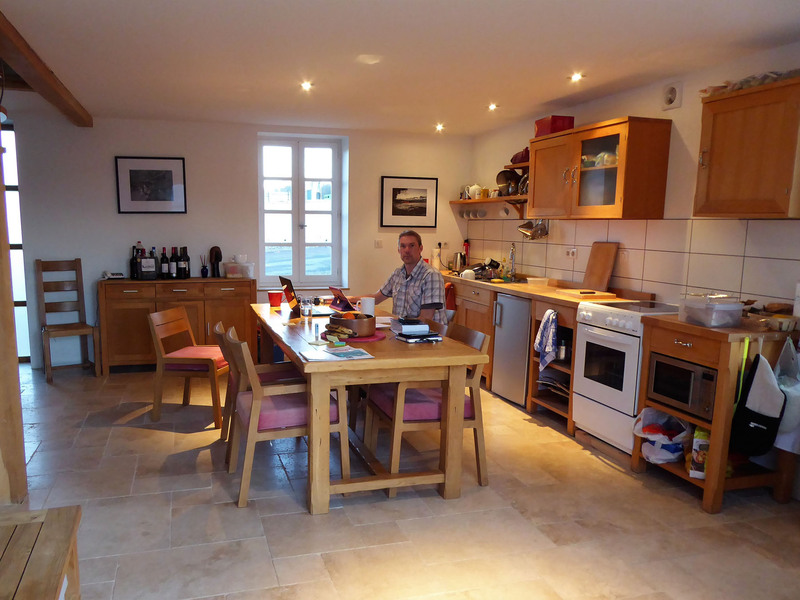 We are now firmly ensconced in our second house sit of this French winter. 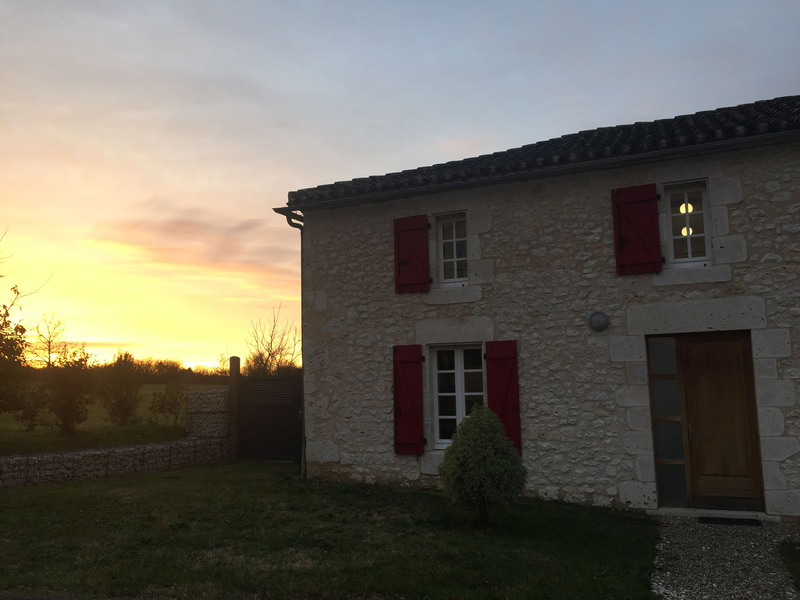 We arrived here last Wednesday, near Villeneuve-sur-Lot, after sadly leaving the tranquil beauty of Barie and the easy company of Ozzie and Tilly, the two loving cats we were looking after. We spent the afternoon catching up with our hosts Monica & Ken then left them in peace to finalise their packing as we settled into our new accommodation. 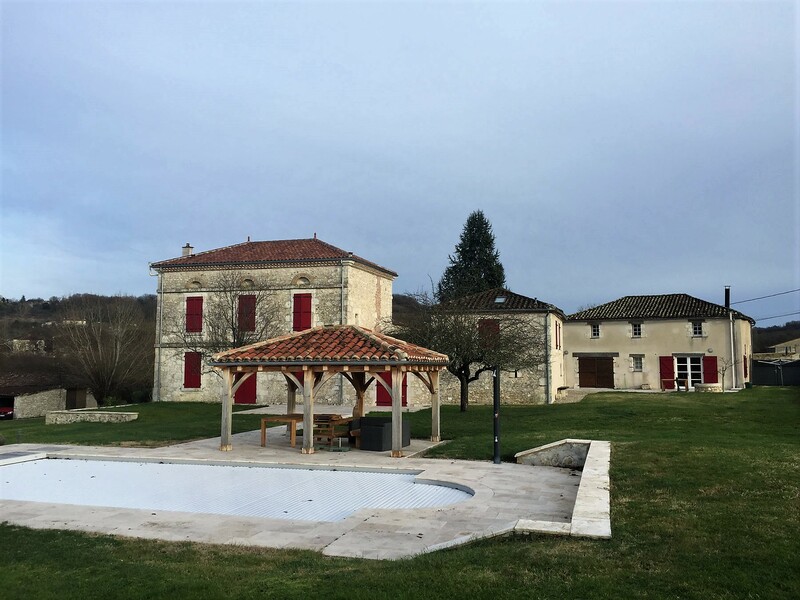 The following day we travelled with them to Toulouse airport, said our goodbyes and returned with their car to the rural calmness of their lovely home. Since then, we have been quite disciplined with our anticipated learning, helped by the abundance of rain that has fallen. Whilst our hosts are enjoying the extreme heat of Australia, we are enjoying having very little we have to do, but so many available options for things we want to do. Every day we have been playing piano, practising our French, reading books and watching French movies. We had our first formal French lesson today with Rebecca, Ken and Monica’s friend and tutor. She kindly agreed to continue her weekly visits and language instruction although after hearing the abomination that is my spoken French she may well be regretting that decision. When the weather dries up we hope to practise archery in the garden along with fully exploring the rather hilly local area on our bikes. We have had one exploratory cycle, where we quickly realised the heavy winter colds we’ve both been carrying were not fully cleared and our lungs did not enjoy the steepness of the local hills. We are off for a slow run this afternoon to see how we hold up, and this offers a chance to clear our heads, currently full to overflowing with new words, phrases and musical notes. We are settled here until the first week of March, so we have plenty of time to improve the aspects of our knowledge we wish to, and to rest in between in a comfortable and peaceful environment when we want to. 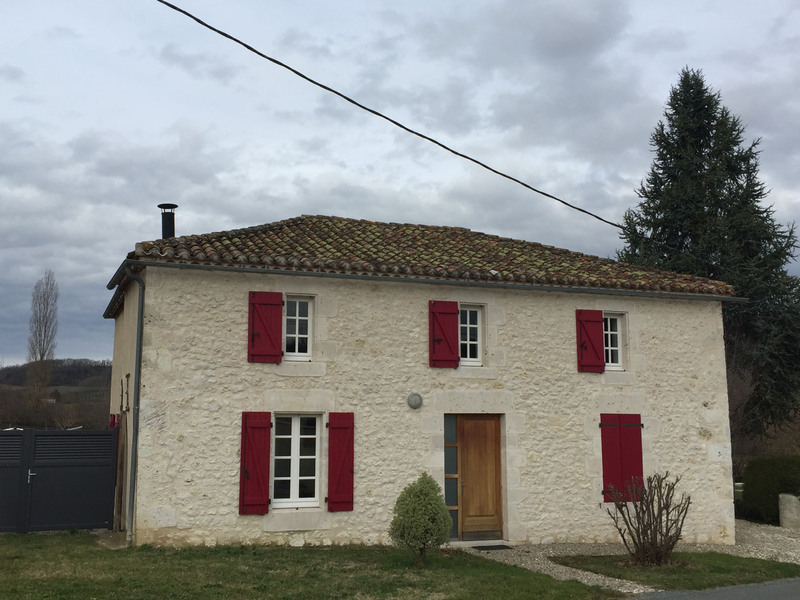 We’ll hopefully be wiser, leaner and fitter by the time we leave, and living here should give us more insight into what we are looking for in own French property, the purchase of which is one of our key goals for 2018. We’ll update more about the local region we’re in when our explorations have taken us a bit further afield. 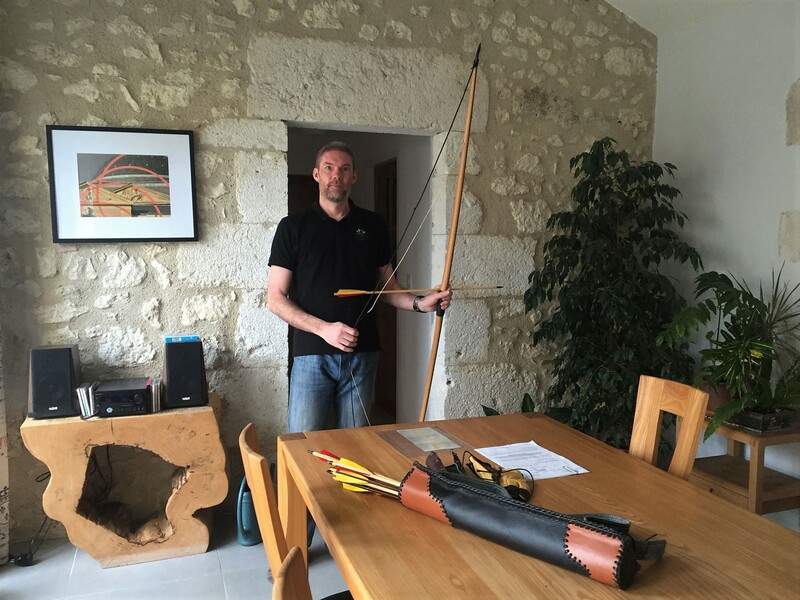 This entry was posted in 2017 Winter Travels, France, Housesitting, In France, Our Travel Journal and tagged archery, Cycling, french lessons, Housesitting, piano, trail running, walking on Jan 8, 2018 by Aaron Hill.